· The most vital thing you need to know about purchasing a car is not the type of the car you intend to buy, but how you intend to finance your purchase. · If you have enough money in the bank to purchase the car then you are set to go. However, if the money you have is not enough for the whole purchase, you will need some kind of financing. · Check your credit before trying to buy the car, and if you have a low credit score, spend a couple of months rehabilitating it before finally acquiring the car. The difference can be several dollars in interest. · You need to know how much you can afford to spend on the car purchase before you even start shopping for the car. · This may imply calling your bank or credit union to know the amount of money you can borrow, even if you intend to finance the car purchase through the dealership. · The difference between a new muscle car and a used subcompact car is more than just cosmetic. · Cars can have widely varying maintenance costs too. Before buying your car, know how much you can afford to spend on gas and routine maintenance. · Another significant difference between the new muscle car and a used subcompact car is the insurance rates. · Check with the auto insurance company before making a purchase in order to get an idea of the insurance rates on cars you are interested in. 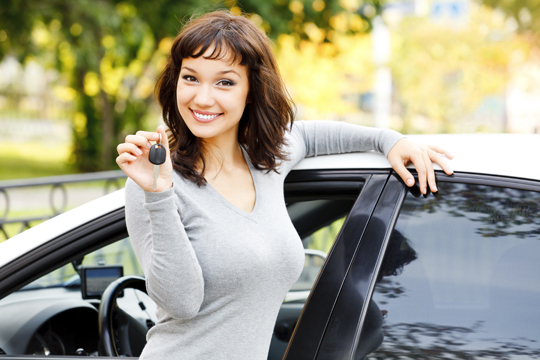 · Odds are that you already know by now whether a new car is in your budget. · In case you are on the edge, check for discounts, special financing or any incentive that may make purchasing a new car as attractive as buying a used one. · Alternatively, you can purchase a used car without having to buy someone else’s problems, literally. · Many used cars come with a remainder of the manufacturer’s warranty and options of buying extended warranties, making them much less costly to buy and insure as compared to new cars. · One of the common mistakes buyers make when shopping for a car is not having an idea of what they need. · Knowing how you intend to use your car, whether for work, for moving the kids around, or for pleasure trips can help narrow down your options and make finding the car that best suit your needs much easier. · If you are not sure about where to purchase your car, ask your friends or family members for recommendations. · Then talk to a number of dealers before making your purchase so as to find a dealer and a financing option you are comfortable with. So, choosing the right car for you may at first feel like a tough exercise, but you should enjoy the process. Just remember to physically test the car before purchasing it. In order to do this, you will need to book driving test so as to acquire a driver’s license. You can easily book for these tests online.